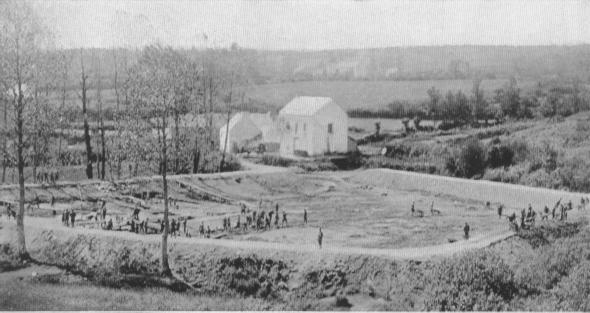 AND THEN CAME THE ENGINEERSPumping stations and reservoirs being erected by American engineers to supply drinking water for men and animals of a Yankee division, Euvezin, France. In some sections at the front, good drinking water was at a premium. AQUA PURA--THE GREAT AMERICAN DRINKEngineers building a reservoir. The picture recalls the declaration of a returned doughboy; "Engineers! 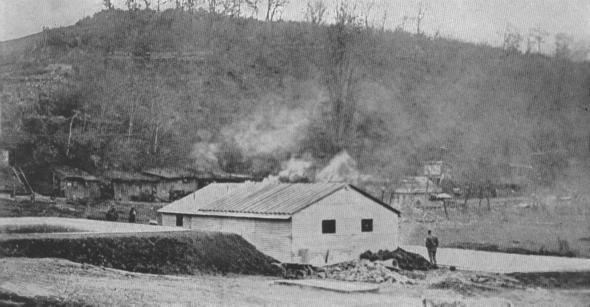 You couldn't turn anywhere in France without seeing American engineers at work or seeing something they had done."